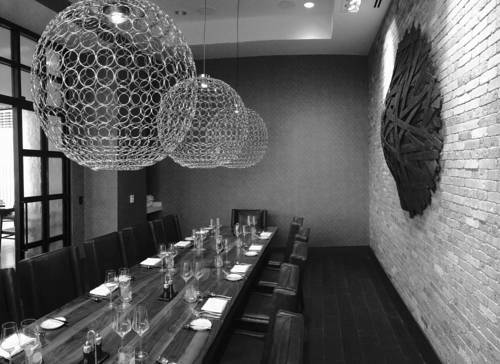 Cedar + Stone, Urban Table: Visit Cedar + Stone, Urban Table, our hotel restaurant by the Mall of America. Enjoy our casually sophisticated dining experience as you savor tasteful perfection in American culinary creations made from fresh local ingredients by our master chefs. Lobby Lounge: Gather with friends or colleagues in our stylish Lobby Lounge, featuring a casual atmosphere in which to enjoy the Midwest s best craft beers and liquors. Fuel up for a day of shopping at nearby Mall of America with light bites from our menu.